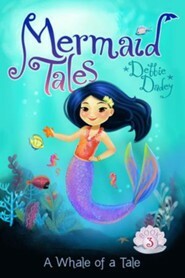 In this sparkling Mermaid Tales adventure, can Kiki overcome her fears and enjoy her first-ever trip to the ocean’s surface? The third graders at Trident Academy are traveling to the surface of the ocean for the first time ever for a “hugely” exciting activity: They’re going to visit a pod of humpback whales! But Kiki is less than thrilled. In fact, she’s scared from the top of her head to the tip of her tail. After all, the enormous creatures could swallow her (and maybe her entire class) in one giant gulp! Kiki’s pals Shelly and Echo try to help shrink her fears, and when a new friend comes along—a very big, whale-size friend—Kiki’s courage emerges, and the fun looms large. 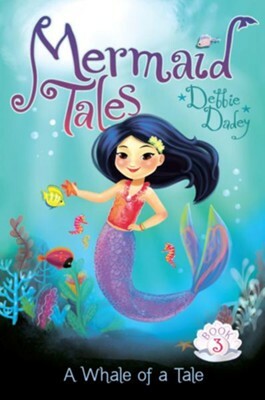 Debbie Dadey is an award-winning childrens book author who has written more than 150 books. She is best known for her series The Adventures of the Bailey School Kids, written with Marcia Thornton Jones. Debbie lives with her husband, three children, and three dogs in Sevierville, Tennessee. I'm the author/artist and I want to review A Whale of a Tale, #3.